According to Marion Lewis from the Huffington Post, choosing a quality education for our children is the ultimate desire of every parent. However, the decision on how to educate your child is not always easy and straightforward due to the higher availability of options in addition to public schools, i.e. homeschooling or private schools. Without a doubt, as Kayla Webley asserts, making the best decision will definitely pave the way for a lifelong learning, proper education, and consequently, a successful career of your child. Making a wrong decision can be problematic and it can create additional pressure not just for the child, but for the entire family. Even though many people are unable to see the benefits of homeschooling due to preconceived notions, this method continues ranking high on national tests and increases the number of diversely educated children in the U.S. 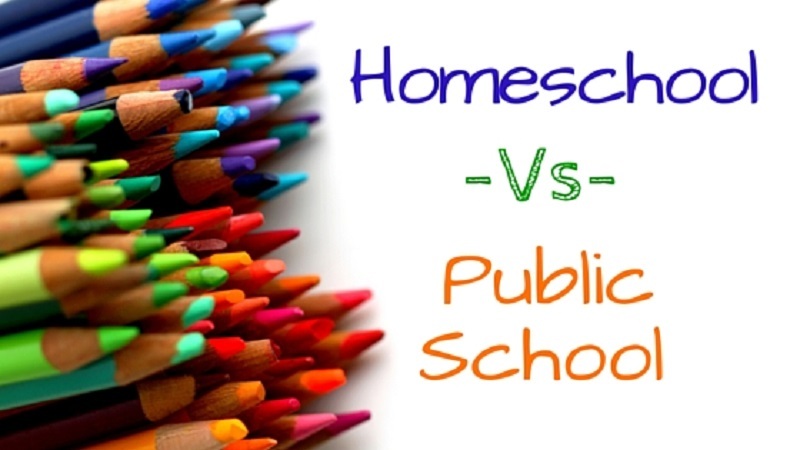 This being said, it can be of great aid to learn more about the advantages and disadvantages of public schooling and homeschooling so that you can determine which model will be more suitable. What to Expect from Public Schooling? Public schooling in the U.S. is free of charge because the funding comes from the state government, enabling every child to get the appropriate education. Since there are public schools all over the states, as explained on Our Kids Net, it is quite easy to bring your child there and one big plus is the organized transport available at designated bus stops. If you enroll your child in a public school, you also enable them to participate in extracurricular activities like sports, music bands, arts, and different clubs where they can work on the development of their social skills, which are crucial for later on in life, as emphasized on We Have Kids. A public school is, without doubt, a diverse environment where everyone is allowed an equal, regardless of their religion, academic ability, or any other factor. According to the Teacher Certification Degrees, education in the U.S. is considered to be a state or a local matter, not a federal one, so each of the states has its own set of requirement that teachers need to meet. Be that as it may, in most states, the teaching staff for public schools needs to have specific certification and a bachelor’s degree, whereas some states and schools may additionally require knowledge and skills tests, background checks, completion of an approved teacher education program, etc. It is worth mentioning that a lot of public schools offer services for disabled students free of charge. Nonetheless, not every domain of public schooling deserves praise and this is often the major setback for a large number of parents who decide on another schooling option for their children. Unfortunately, most public schools in the U.S. are equipped for teaching the average student only, leaving more gifted students and students who are barely managing without proper challenging and stimulation, which may result in stagnation. Additionally, as noted on Huffington Post, children who attend public school do not always get the necessary one on one assistance, education, and attention due to the rather large class sizes in elementary, middle, and high school level. With this in mind, instead of choosing public schools for their children, parents turn to alternative options, such as homeschooling. Is Homeschooling a Viable Alternative? As explained by Thought Co, homeschooling is considered to be an instruction in an educational program outside of established schools. This method of education began spreading in the 60s with the rise of a counter-culture movement and after the Supreme Court in the 70s decided that eliminating prayer in school is not unconstitutional; this is when the Christian movement turned to homeschooling, which at that time, was illegal in 45 states, Autumn Burke adds. With the changes in laws, by 1993, homeschooling was acknowledged as a right of parents in all 50 states. Since then on, the percentage of parents who choose homeschooling has been exponentially growing. According to Calvert Education, every parent who is considering to homeschool their children should know that this is a significant lifestyle change because, in addition to parenting, you also take on the responsibilities of a teacher and an administrator. You will be in charge of implementing lessons, organizing trips, coordinating with other parents, and you also need to remain compliant with the state or local homeschooling requirements. What a lot of parents particularly appreciate about homeschooling is its bigger educational freedom and flexibility. For example, if your child is having problems with a specific subject or a concept, you do not have to skip it, but you have more time on your hands to revisit it and help them master the material. Additionally, you can always pass repetitive or unnecessary lessons, which is not always the case in public school. Both children and parents are particularly attracted to homeschooling due to the one-of-a-kind experiences in the real world as the curriculum often encourage them to get out of their homes and learn math, arts, or science in a distinctive way. As a result, the children absorb knowledge and skills in a more efficient manner and the parents are more satisfied and additionally motivated. Last but not least, deciding to homeschool your little one can be a beneficial way to build a stronger bond with him/her. Nonetheless, not every parent who opts for homeschooling is able to pull it through, as pointed out on Calvert Education. In a lot of situations, this may be a result of the overload of activities and tasks that need to be planned and properly carried out so that the child benefits in the best way possible. What’re more, parents end up having little time for themselves because of the numerous responsibilities, which may often lead to excessive stress and tiredness as well as less time working and earning a living? Another aspect of homeschooling that troubles parents are certainly the reduced rate of socialization which contributes to a smaller circle of friends and less interaction with children of their age. The financial costs that come with homeschooling due to having to purchase textbooks, paper, art supplies, computers, and other pivotal resources, can sometimes minimize one’s budget significantly, resulting in less family spending and a tighter budget. Surely, parenting comes with a lot of challenges and one of the biggest ones, in addition to deciding to have a child in the first place, is how you are going to educate them. Hence, if you want to create a unique educational experience for your child and if you are financial, physically, and psychologically ready, homeschooling can be a feasible solution with so many different benefits, for both the child and parents, waiting to be reaped. On the other hand, parents who appreciate the higher socialization factor that comes with public schooling and parents who do not have the necessary free time and financial means to educate their children at home, should know that enrolling them in a public school is an excellent opportunity to help them receive quality education from certified teachers and participate in extracurricular activities, like sports and arts, that will additionally enhance their social, organizational, and learning capacities, which are essential for a prosperous future.